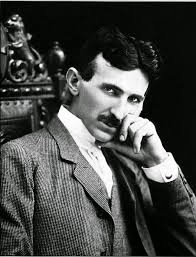 While Nikola Tesla was conducting experiments with his Magnifying Transmitter at Colorado Springs in 1899, he detected coherent signals which he determined had originated on Mars. Tesla: “I can never forget the first sensations I experienced when it dawned upon me that I had observed something possibly of incalculable consequences to mankind. My first observations positively terrified me, as there was present in them something mysterious, not to say supernatural, and I was alone in my laboratory at night; but at that time the idea of these disturbances being intelligently controlled signal did not yet present itself to me. The changes I noted were taking place periodically and with such a clear suggestion of number and order that they were not traceable to any cause known to me. I was familiar, of course, with such electrical disturbances as are produced by the sun, Aurora Borealis and earth currents, and I was as sure as I could be of any fact that these variations were due to none of these causes. The nature of my experiments precluded the possibility of the changes being produced by atmospheric disturbances, as has been rashly asserted by some. It was sometime afterward when the thought flashed upon my mind that the disturbances I had observed might be due to an intelligent control. Although I could not decipher their meaning, it was impossible for me to think of them as having been entirely accidental. Years later, Arthur Matthews claimed that Tesla had secretly developed a “Teslascope” for the purpose of communicating with Mars. Dr. Andrija Puharich met with Matthews and discussed the matter with him in an interview which was published in the Pyramid Guide. “The Teslascope is the thing Tesla invented to communicate with beings on other planets. 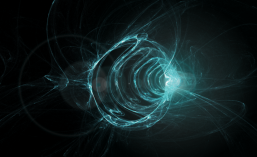 In principle, communication takes in cosmic ray signals. A year later, J. H. C. Macbeth, London manager of the Marconi Wireless Telegraph Company, Ltd., said at a Rotary Club luncheon at the McAlpin that Marconi is now convinced that he has intercepted wireless messages from Mars. Mr. Macbeth added by way of prediction, that should this prove to be so, it will be only a question of time before inventive genius and ingenuity in deciphering unknown codes will evolve a method of communication between the two planets. (Washington Post – September 2, 1921). 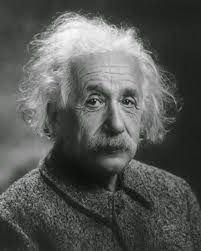 Now, before we go on with the intriguing discoveries of Tesla and Marconi, we have to mention some remarkable quotes from Einstein, found in the just released first digital edition of Albert Einstein papers which covers Einstein’s life up until 1923. 1. An intriguing item from January 1920, a reference to an article in the London Daily Mail, whose correspondent had asked Einstein his opinions about extraterrestrial life, referring to Guglielmo Marconi who had recently told the same paper about mysterious signals he speculated may have come from Mars. Einstein’s statement indicates, besides Tesla and Marconi, also he knew about activities and life on the planet Mars. 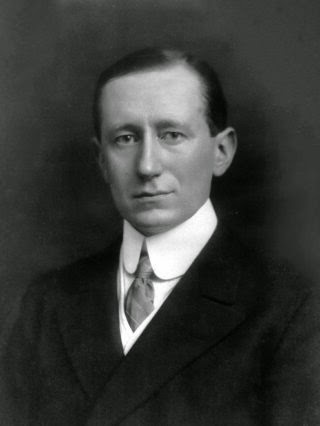 Like Tesla, Marconi was a mysterious man in his later years, and was known to perform experiments, including anti-gravity experiments, aboard his yacht Electra. Marconi’s yacht was a floating super-laboratory, from which he sent signals into space and lit lights in Australia in 1930. He did this with the aid of an Italian physicist named Landini by sending wave train signals through the earth, much as Tesla had done in Colorado Springs. According to Bibliotecapleyades in June of 1936 Marconi demonstrated to Italian dictator Benito Mussolini a wave gun device that could be used as a defensive weapon. In the 1930’s such devices were popularized as “death rays”. Marconi demonstrated the ray on a busy highway north of Milan one afternoon. Mussolini had asked his wife Rachele to also be on the highway at precisely 3:30 in the afternoon. Marconi’s device caused the electrical systems in all the cars, including Rachele’s, to malfunction for half an hour, while her chauffeur and other motorists checked their fuel pumps and spark plugs. At 3:35 all the cars were able to start again. Rachele Mussolini later published this account in her autobiography. Mussolini was quite pleased with Marconi’s invention, however it is said that Pope Pius XI learned about the invention of the paralyzing rays and took steps to have Mussolini stop Marconi’s research. According to Marconi’s followers, Marconi then took his yacht to South America in 1937, after faking his own death. A number of European scientists were said to have gone with Marconi, including Landini. In the 1937, the enigmatic Italian physicist and alchemist Fulcanelli warned European physicists of the grave dangers of atomic weapons and then mysteriously vanished a few years later. He is believed to have joined Marconi’s secret group in South America. 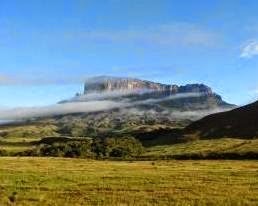 Ninety-eight scientists were said to have gone to South America where they built a city in an extinct volcanic crater in the southern jungles of Venezuela. In their secret city, financed by the great wealth they had created during their lives, they continued Marconi’s work on solar energy, cosmic energy and antigravity. They worked secretly and apart from the world’s nations, building free-energy motors and ultimately discoid aircraft with a form of gyroscopic anti-gravity. The community is said to be dedicated to universal peace and the common good of all mankind. It is said there is information on this astonishing high-tech city from a number of sources. In the South America the story is a common subject among certain metaphysical groups and also discussed in the book ‘Mysteries of the Andes, (1974, 1977) written by the French writer Robert Charroux, plus the story of a Mexican journalist named Mario Rojas Avendaro who investigated the Ciudad Subterranean de los Andes (Underground City of the Andes) and concluded that it was a true story. Avendaro was contacted by man named Naciso Genovese, who had been a student of Marconi’s and was a physics teacher at a High School in Baja, Mexico. Though the book was never published in English, it did appear in various Spanish, Portuguese and Italian editions. By 1946 the city already using a powerful collector of cosmic energy, the essential component of all matter, according to Marconi’s theories, many of which he had derived from Tesla. According to Genovese, the city is located at the bottom of a crater, is mostly underground and is entirely self-sufficient. The extinct volcano is covered in thick vegetation, is hundreds of miles from any roads, and is at thirteen thousand feet in the jungle mountains of the Amazon. Genovese claimed that flights to the Moon and Mars were made in their “flying saucers.” He claimed that once the technology had been conquered, it was relatively simple to make the trip to the Moon (a few hours) or Mars (several days). It is said that Tesla was induced to fake his own death, (Tesla reportedly died in ‘The New Yorker Hotel’ in 1943, but was it really Tesla?) just as Marconi and many of the other scientists had done, and was taken, by special discoid craft, to Marconi’s high-tech super-city. Away from the outside world, the military governments, the oil companies, the arms and aircraft manufacturers, Marconi and Tesla, both supposedly dead, continued their experiments, in an atmosphere conducive to scientific achievement. 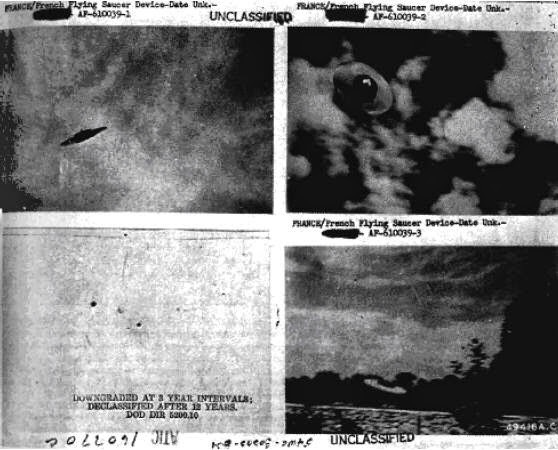 According to Bibliotecapleyades these four photos are from the U.S. Air Force Blue Book files and show a “French Flying Saucer Device” that is alleged to be one of the craft used by Marconi and built at the secret city in South America. The photos are known to have been taken in 1953. 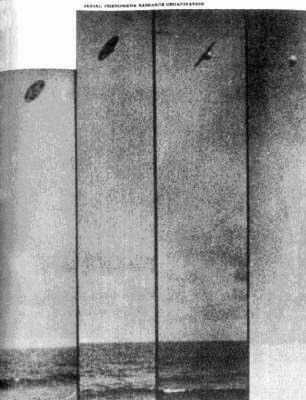 The next photo shows a craft similar to the type of craft allegedly made at Marconi’s secret city. After taken these photos on Plata Beach, Salvador, Brazil on April 24, 1959, the photographer Hello Aguiar lost consciousness. Tesla and Marconi were contemporaries and they knew one another. They were ten years ahead of the Germans and twenty years ahead of the Americans in their anti-gravity technology. Who knows what they may have achieved? There have been many reports of UFOs in South America, especially along the edge of the mountainous jungles of the eastern Andes, from Bolivia to Venezuela. Is it possible that some of these UFOs are antigravity craft from the Ciudad Subterranean de los Andes?